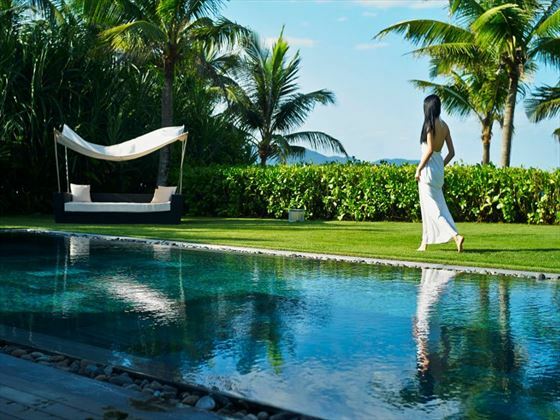 Modern concepts, ultra-luxe amenities and chic designs make Fusion Maia Resort in Da Nang, Vietnam, as unique and individual as each and every guest that stays there. 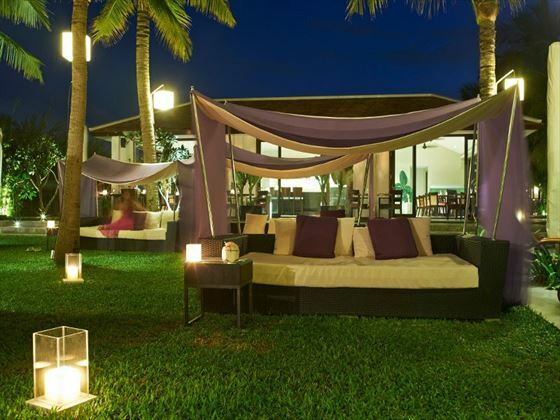 On arrival, you are allocated your very own Fusionista, who will take care of all your needs and give you handy tips, advice and make any arrangements completely tailored to how you want to spend your time whilst staying at Fusion Maia. 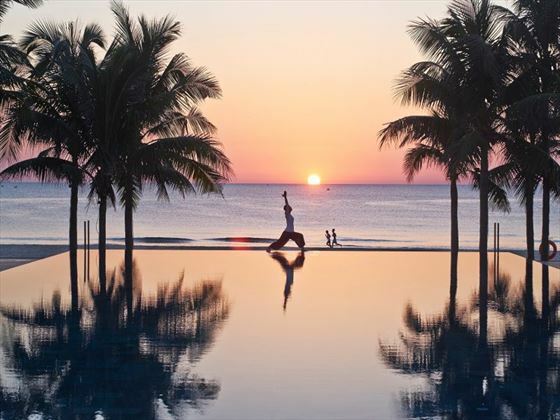 Featuring lavish Zen-like villa accommodation and an all-inclusive Natural Living wellness programme which includes daily spa treatments, yoga, tai chi, warrior fitness and meditation, this is your chance to indulge all of your senses and relax into a sublime and uncomplicated world where you get to rest, revive and dine whenever and wherever you choose. 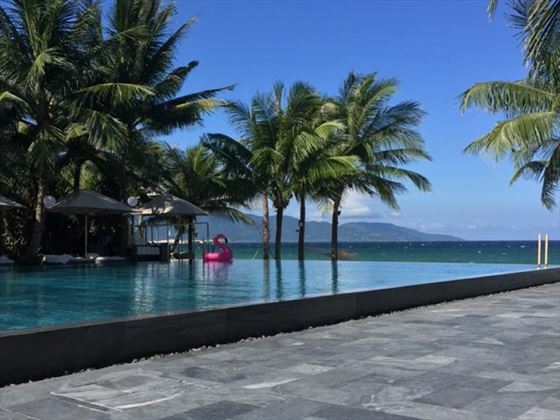 Whether you're lounging round the infinity pool, checking out the gym or taking the complimentary shuttle bus into the historic heritage centre of Hoi An, this is a superb chance to experience the very best of Vietnam with couples finding themselves simply spoiled for choice. 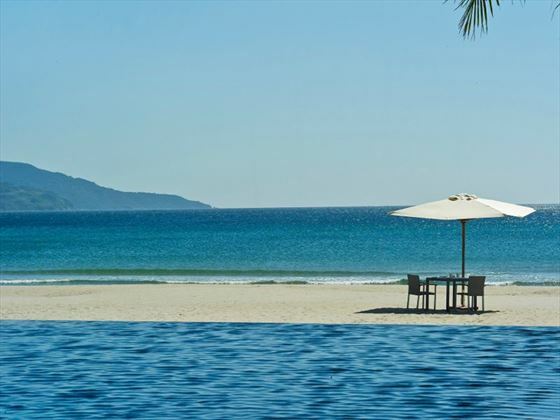 Further reading: Fusion Maia Da Nang is featured in our guide to the top 10 most romantic tropical beach stays. 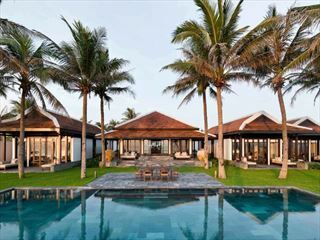 This Fusion Maia resort is situated on My Khe beach in Da Nang on Vietnam's central east coast with a complimentary shuttle bus to take guests to the world heritage sites of Hoi An. There is a free shuttle bus available from Hoi An. 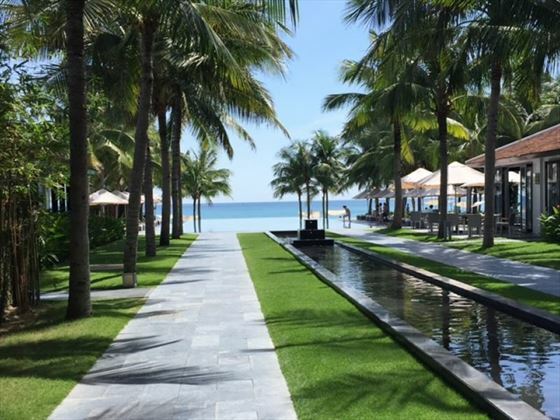 Da Nang Aiport is just 15 minutes from the resort. 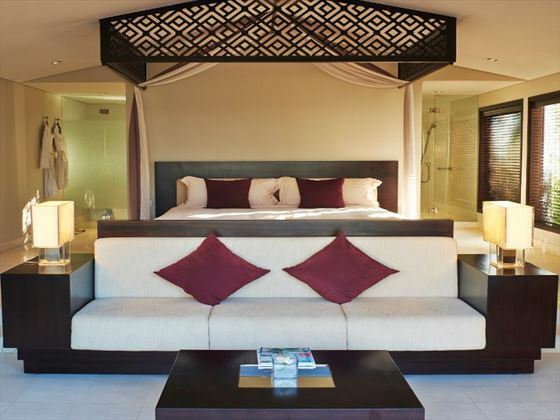 The resort provides 87 individual villas, presenting guests with contemporary style and an open-plan living space. 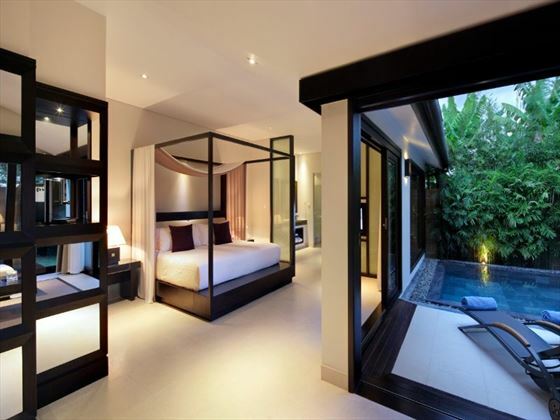 All villas are minimalist in style and décor which promotes a sense of calm as well as a comfortable and attractive base with modern amenities. 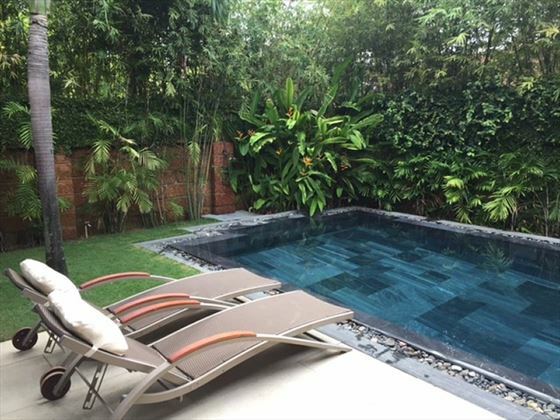 Pool Villas – have a large canopy-covered bed, private pool, furnished outdoor terrace, sliding patio doors and are suitable for couples. 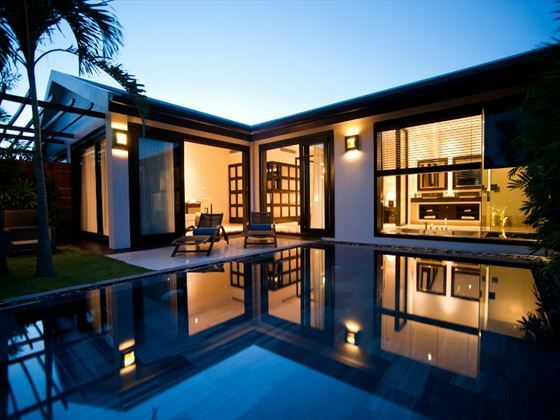 Spa Villas – are larger than Pool Villas, located adjacent to the spa and include two bedrooms as well as a separate dining area and living room. Beach Villas – are larger than Spa Villas and have three bedrooms, spacious living and dining areas as well as a private pool and outdoor lounge area. Breakfast Anytime – take your time to relax and choose where and when you'd prefer to enjoy breakfast as opposed to running to keep up with a resort schedule. 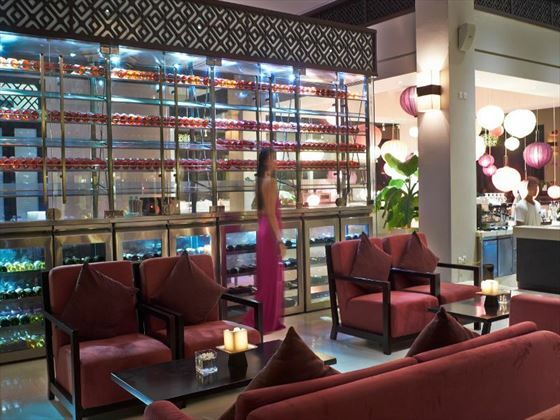 Five Dining Room – contemporary dining room with open kitchen presents the very best in Pan-Asian cuisine. Tonic Lounge – Asian and international-inspired tapas with tea, coffee and cocktails served in a chilled-out lounge setting. Fresh Pool Bar – salads, wraps, fresh juices and open sandwiches available poolside. The Fusion Cafe, located in the centre of Hoi-An, where breakfast any time can be taken, as well as lunch, dinner or simply coffee and pastries. A complimentary shuttle bus runs four times a day to and from Hoi An. Fusion Spa with 16 treatment rooms, two beauty salons, steam rooms, sauna, private Jacuzzi and Yoga studio. Mini Maia complimentary kids club every afternoon. Maintenance work has been going on in the neighbour around Fusion Maia and may affect to Fusion Maia guest experience. Prices correct as at 6pm on 19 Apr 2019. Please call for final price. Prices are per person based on 2 adults sharing a room. Other durations available - call for quote. *Airfares vary considerably so a variety of airlines may be included in our pricing to ensure you are presented with the best possible price including British Airways, Air France, Etihad, Qatar, Singapore Airlines , Thai Airways or Vietnam Airlines. If you would prefer to fly from a different airport or with a different airline, our Travel Consultants will be happy to adjust this at the time of enquiry and a supplement may apply. 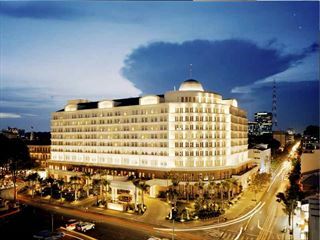 Park Hyatt Saigon is an impressive five star property sitting at the heart of Vietnam's largest city. Perfect as a relaxed base for your exploration of Ho Chi Minh City, you can enjoy a fun day of sightseeing all in easy reach of your hotel. 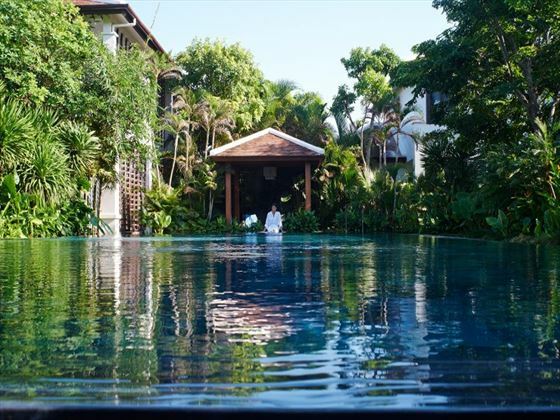 This resort is one of the most luxurious we've seen, set on one of the most beautiful beaches we've seen, but close enough to all the cultural sites this area is world renowned for, it is truly in a class of it's own. 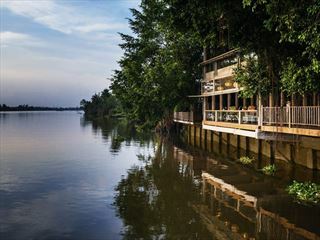 Located on Saigon River, this charming retreat offers guests a truly luxurious stay just 20-minutes boat journey from the heart of Ho Chi Minh (Saigon).